VINTAGE 1950's CANADA DRY GINGER ALE (6 OZ.) ACL SODA POP BOTTLE - TORONTO, ONT. 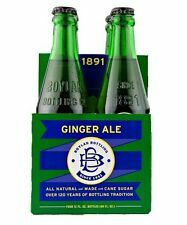 Boylan Ginger Ale - Cane Sugar Soda - Glass Bottles - Free Expedited Shipping!